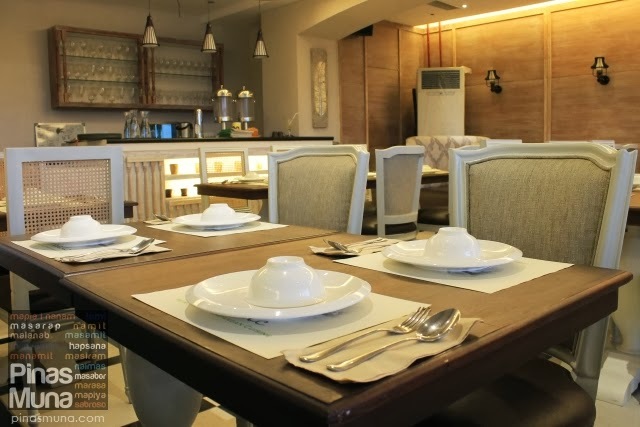 Pinác Heirloom Capampangan Cuisine is the first and only restaurant in Manila featuring the Kapampangan cuisine of Candaba, Pampanga. It's located on the second floor of the newly-opened U.P. Town Center in Quezon City. Pinác is the Kapampangan word for swamp, particularly the Candaba Swamp. If you are familiar with the geography of Candaba, you would know that Candaba is a land-locked municipality in Central Luzon. Due to its low elevation, the swamp becomes the natural catch basin of the flood waters coming from the Sierra Madre Mountain Range making its waters very fertile. This property makes it very ideal for farming during the dry season, and raising freshwater fishes and ducks during the wet season. It also attracts migratory wild ducks and other wildlife birds in the area. 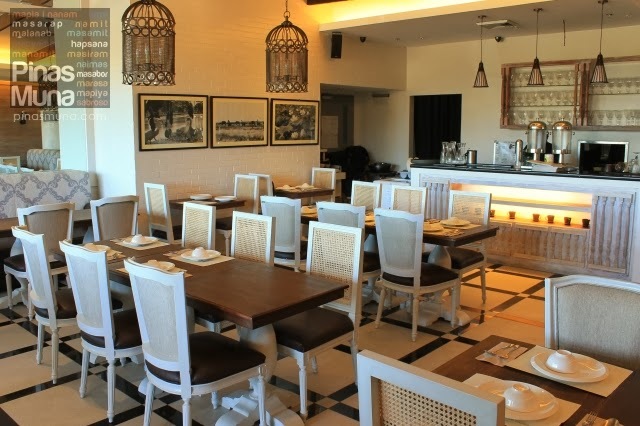 The interior of the restaurant reflects the architecture of Candaba's heritage houses. The beams are made of old wood beams, with the Pampanga-made chairs and tables adding more Kapampangan charm into the restaurant. Photographs from Candaba adorn the walls of Pinac giving the dining guests a glimpse into the farm life of the town. "When our guests enter our restaurant, we want them to feel that they just stepped into a home in Candaba," says owner, Angel Pelayo-Ty. 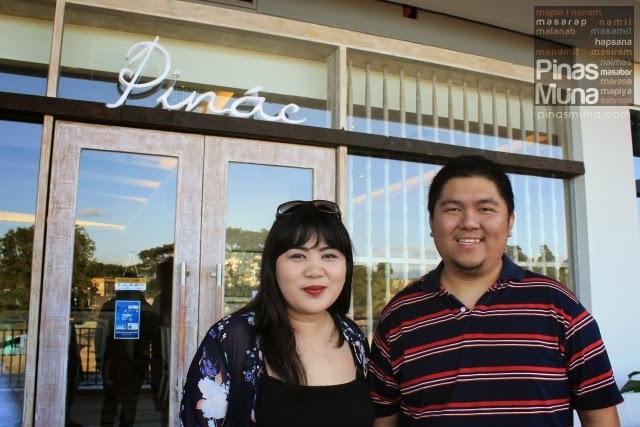 Pinac's menu consists of classic Filipino and Kapampangan dishes prepared the same way the Pelayos cooked them for generations. "Our recipes are handed down by my grandmother to my mother, and now we are sharing our culinary heritage through our restaurant," Angel added. Pako (fiddle fern) grow in abundance in Candaba and in most part of Pampanga making it one of the most common ingredient in vegetable salads. A lot of manual labor is required to prepare this salad as the edible young fiddle fern tops are carefully plucked from plant. Fiddle ferns are then mixed with cucumbers, tomatoes and green mangoes. To give it a Candaba twist, Pinac added salted duck eggs and fried itik flakes to the salad and is served with Pinac's vinaigrette. 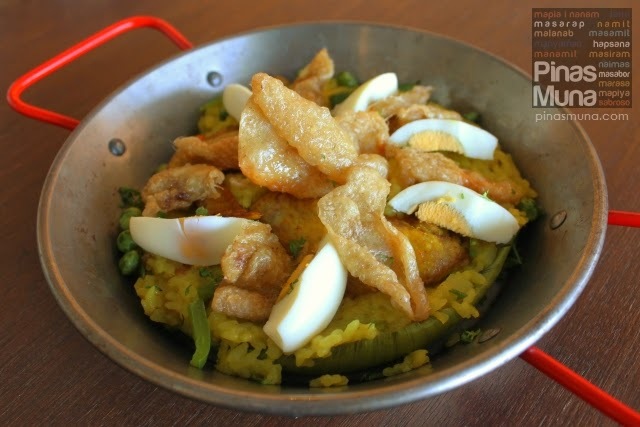 Usually described as the Kapampangan version of paella, but unlike the paella, bringhe is cooked with coconut milk and flavored with turmeric. The skillet is lined with banana leaves to prevent the rice from sticking and to add aroma to the dish. Pinac's bringhe has chicken, green peas, bell peppers and hard boiled eggs. It is then topped with chicharon made of duck skin. Candaba produces some of the top quality hito (catfish) in the Philippines and Pinac uses only the freshest catfish in their dishes. Freshwater fishes are usually grilled or fried and are eaten with fresh mustasa (mustard greens) dipped in buro (fermented rice). 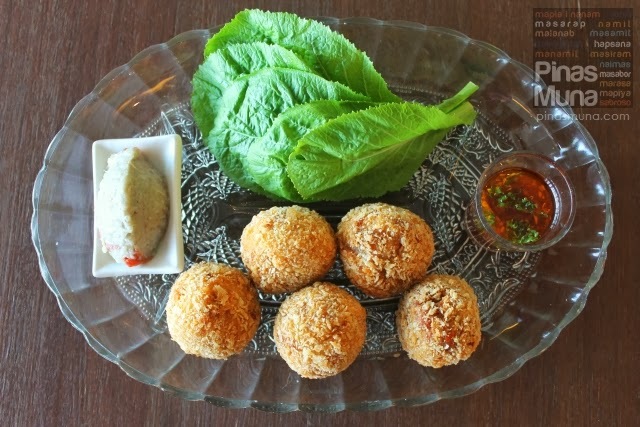 Pinac reinvents this popular Kapampangan dish by creating hito balls coated in breadcrumbs and fried to golden crispy consistency. 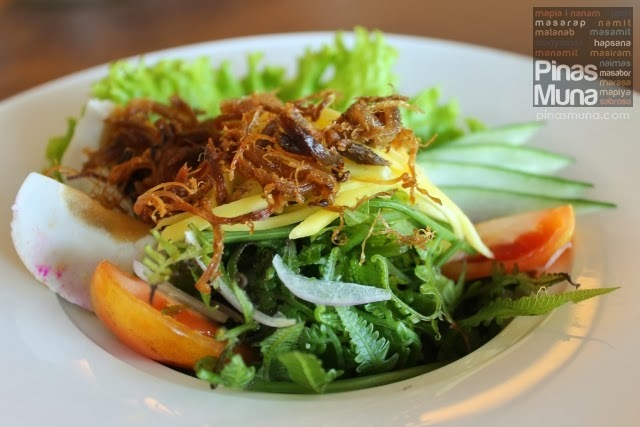 To experience the authentic taste of this dish, it is best enjoyed with buro. Pinac's buro has a very mild taste which won't be too exotic even for first timers. 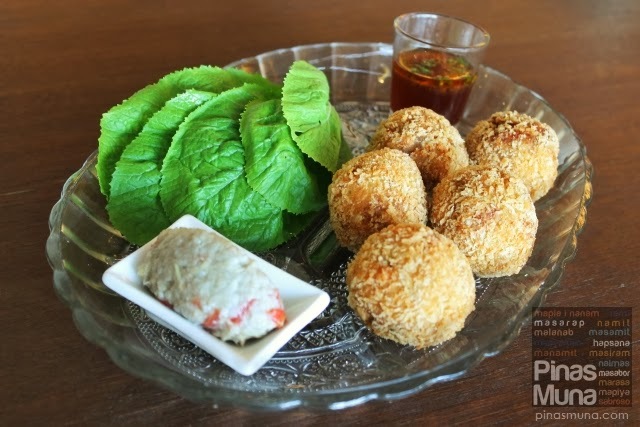 Take a crispy hito ball (or half a ball) and dip it in buro. Wrap it then with a mustasa leaf. Depending on your taste, you can dip it again in buro or in the vinaigrette served with the dish. We loved Pinac's crispy pata for its ultra crispy skin and very tender meat. What's deadly delicious about the crispy pata was the pork fats that just melt between the skin and the meat. The secret lies on the process of preparing this dish. Pinac poaches the pork knuckles in aromatics for six hour, infusing all the flavors and spices through the skin and into the meat. They are then fried to crispy perfection with all the flavors and spices locked in. It is then served with Atsarang Capampangan (a variety of pickled vegetables) and the traditional dip of soy sauce-vinegar mixture with garlic. You can request the crispy pata to be deboned prior to serving and is best enjoyed right after being fried. We all heared the story. The history of brazo de mercedes is traced back to the time of the Spaniards when churches are built using egg whites as a binding agent for the stone blocks. With hundreds of egg yolks left unused, the Spaniards taught the Filipinos how to create dishes and desserts using this surplus of yolks. 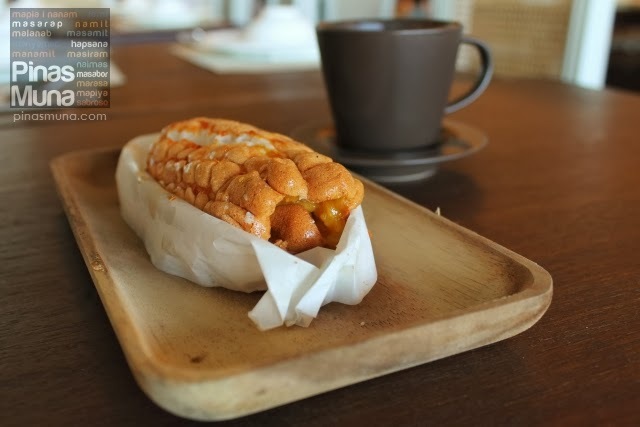 One of which was the Filipino favorite dessert, the brazo de mercedes. A fancy version of the brazo de mercedes is the Brazo de Mais wherein the meringue layer is stylized to look like corn kernels. After being baked, a layer of the filling will then be spread on top of the meringue layer and then rolled into the shape of a corn. While most brazo de mais versions do not taste differently from the ordinary brazo de mercedes, Pinac's brazo de mais has corn paste mixed into the filling. To balance the sweet taste of the dessert, a cup of salabat (ginger tea) is then served with the brazo de mais. When we talk about Kapampangan cuisine, we are probably refering to the cuisine in the San Fernando-Angeles-Mexico area. 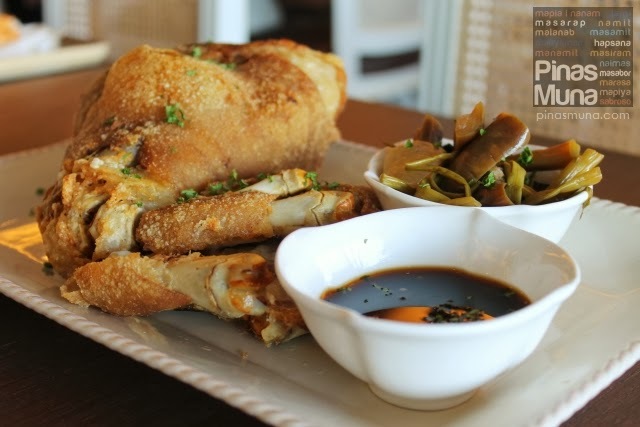 Thankfully, Pinac opens a new window to Kapampangan cuisine, introducing us to the rich culinary traditions of Candaba. Thank you very much to Ms. Angel Pelayo-Ty for having us at Pinac Heirloom Capampangan Cuisine and for giving us the opportunity to discover the flavors of your hometown of Candaba, and for letting us better appreciate the diverse flavors of Kapampangan cuisine. 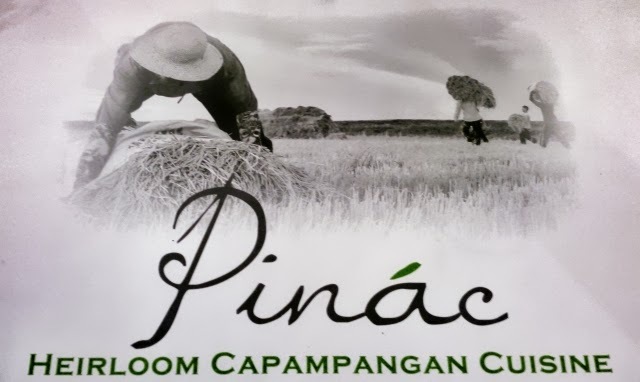 We invite you to visit Pinac and experience the Kapampangan cuisine of Candaba. They are located on the second floor of U.P. Town Center along Katipunan Avenue, Loyola Hights, Quezon City. They are open everyday from 11:00am to 11:00pm. Tip: Getting a parking space at UP Town Center is currently a big problem since the property is still being developed. Traffic along Katipunan Avenue in front of UP Town Center can also get really bad during noontime and early evening. We recommend that you visit the area an hour earlier than the usual lunchtime or dinnertime. Parking fee is currently at a flat rate of P20.00.